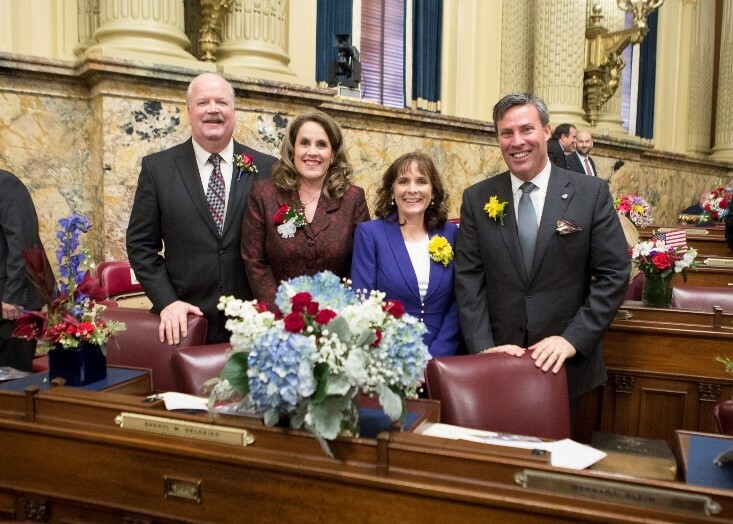 During the swearing-in ceremony of the 203rd Pennsylvania General Assembly held January 1 at the state Capitol, I took the oath of office as state representative of the 87th Legislative District, for the third time since winning a special election in August 2015 and re-election in 2016. In the next session, I hope we can continue to put aside differences that impede important legislation on which we can all agree. I’ll be introducing bills that concern transparency, safety and eliminating old, overburdensome taxes, on which I think Republicans and Democrats can come together. I look forward to proudly serving the constituents of the 87th District for another two years. You’re Invited to a Concealed Carry Firearm Seminar! I will be hosting a concealed carry firearms seminar along with Rep. Barb Gleim on Wednesday, February 13. If you want to learn more about gun safety, laws concerning concealed carrying, and the castle doctrine, please come out to this informative event. Seating is limited so please RSVP by calling my district office at 717-975-2235 or by filling out the form on my website. The event will be held at the Mechanicsburg Sportsmen’s Association located at 493 Sample Bridge Road in Enola from 6:30 to 8 p.m. 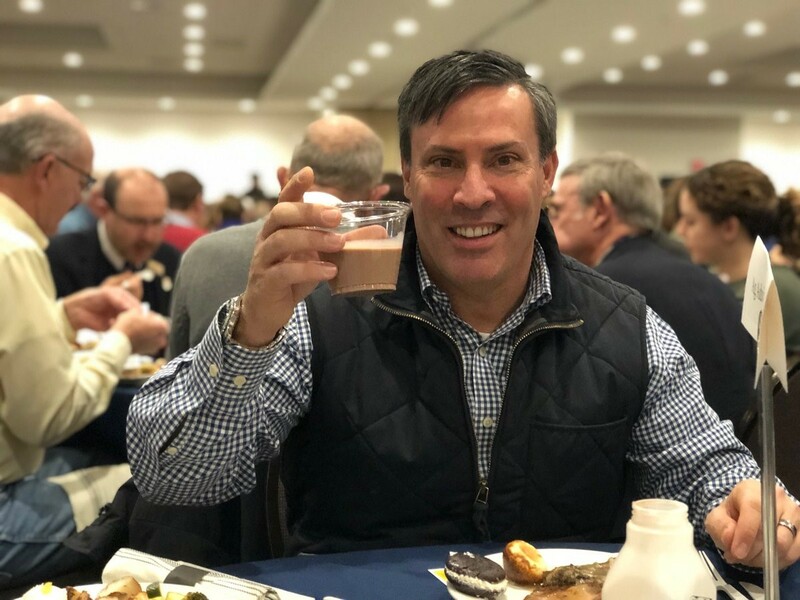 It was a pleasure to attend the 103rd Pennsylvania Farm Show and the Public Official’s Day Luncheon this year. This year’s show, themed “Inspiring Pennsylvania’s Story,” included events like a daily story time for children, interviews with real Pennsylvanians working in agriculture, and opportunities for attendees to engage and tell their own stories. I had the opportunity to discuss agricultural issues with fellow elected officials, as well as hear from influential Pennsylvanians in our state’s agricultural sector. I am proud to hail from a Commonwealth with such a strong agricultural foundation and I look forward to this event again next year. Hosted by the Carlisle Chamber of Commerce, a much-anticipated update on the future of Interstate 81 was given on January 8. This update highlighted the ongoing safety issues constituents face. We also discussed future development plans to ensure a high quality of life for residents who frequent this interstate. Thank you to PennDOT District 8 Executive Director Mike Keiser and Cumberland County Director of Planning, Kirk Stoner, for leading the conversation on this important subject. 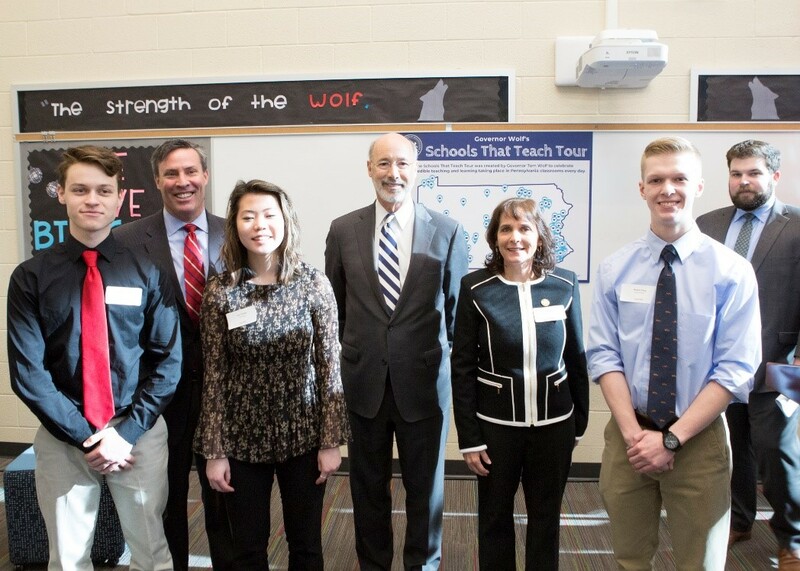 Governor Tom Wolf visited the newly built Winding Creek Elementary School in Mechanicsburg during his Schools That Teach Tour. The Schools That Teach Tour celebrates the teaching and learning taking place in Pennsylvania classrooms every day, and provides a forum for communities across the state to discuss how to create and improve educational opportunities for students, regardless of their Zip Code. As an alumni of Cumberland Valley School District, I was proud to see this district highlighted for its innovation and student success. 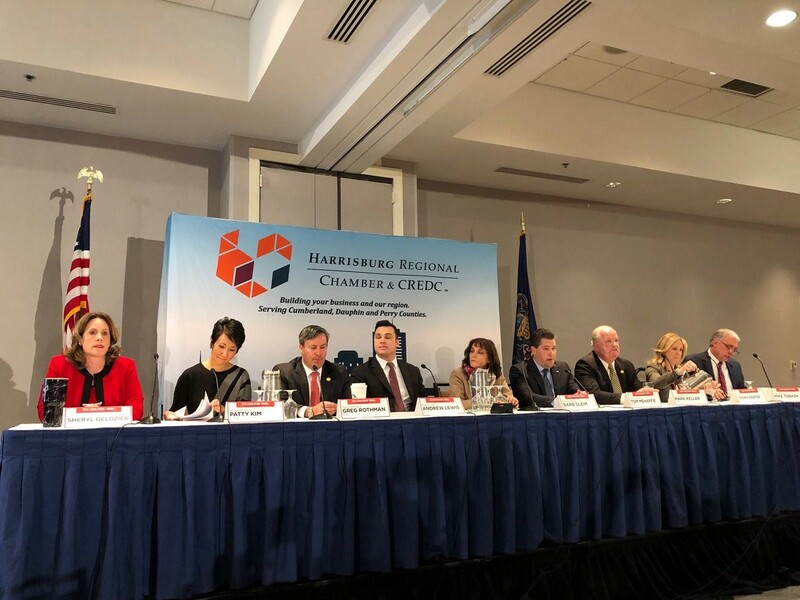 Joining legislators from Cumberland, Perry, and Dauphin counties, I participated in the annual Harrisburg Regional Chamber PA House of Representatives Legislators’ Forum. During the forum, I had to opportunity to share with the attendees my legislative priorities for the year, which includes transportation and infrastructure issues, fiscal responsibility, and government transparency. I look forward to this event every year, as I enjoy hearing directly from business leaders in Central Pennsylvania and the issues that directly affect them. Congratulations to Sam’s Spoons Foundation on its grand opening and ribbon-cutting ceremony. 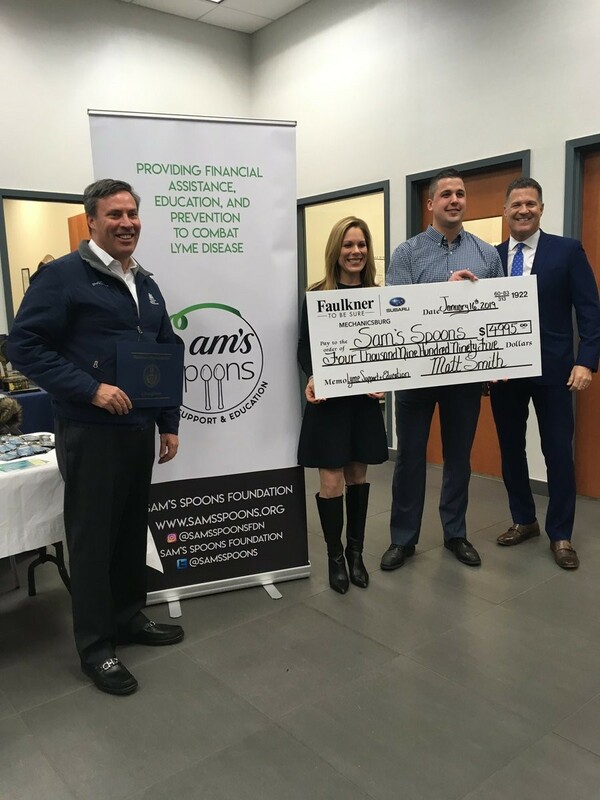 Sam’s Spoons Foundation was created to help defray the out of pocket expenses incurred by families affected by chronic medical conditions from Lyme disease and co-infections. This nonprofit organization is focused on helping those in need financially, while working with other nonprofit organizations to raise awareness, provide educational outreach efforts for youth and their families, instill the importance of prevention, and push important policies around tick bites and Lyme disease in Pennsylvania. 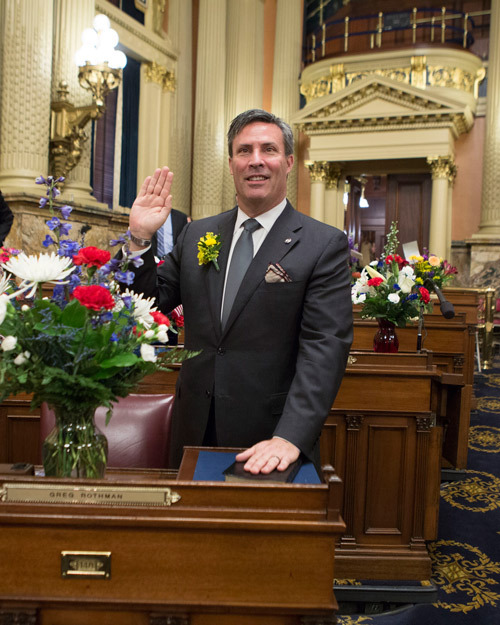 On January 15, the Pennsylvania House of Representatives convened so that the oath of office could be administered to House members. The House is now comprised of 110 Republicans and 91 Democrats, including 43 first-term members. There are two vacancies. Keep up with the latest news from the Capitol and the district at my website, RepRothman.com, and my Facebook page at Facebook.com/RepRothman. I am pleased to report that I have been assigned to serve on five standing committees during the 2019-20 legislative session: Appropriations, Insurance, Liquor Control, Transportation and Urban Affairs. I’m thrilled to now be serving on the Appropriations and Insurance committees, in addition to the other committees I served on during the last legislative session. I’m committed to fighting for a responsible state budget that spends within our means, and ensuring Pennsylvanians have affordable and quality health care and insurance. Serving on the Liquor Control Committee gave me the opportunity to be part of liquor law liberalization and de-regulation efforts, and being part of the Transportation and Urban Affairs committees allowed me to make Cumberland County’s voice heard as we dealt with numerous transportation issues in the district and fought efforts to raise taxes on commuters. In addition, I was appointed to be a deputy whip for the 2019-20 session. Deputy whips have a variety of responsibilities, including aiding the majority whip in advancing important pieces of legislation and informing their fellow Republican colleagues on upcoming policy issues. I’m looking forward to getting to work in these new roles and to tackle issues relevant to our district.